Looking for Host4ASP.NET promo codes and coupons? #MasterTheWeb and save money today with our exclusive The Webmaster offers. When you click either the “Buy hosting” or “Reveal Coupon” button above it will take you to the website. You will see that when the new browser window opens the discounts are automatically applied. For the discount pricing, just scroll down the page a little to see the pricing tables showing the offers. Click your chosen Host4ASP.NET Promo Code © The Webmaster. At the bottom of the pricing table, you will see some “Get Started” buttons. 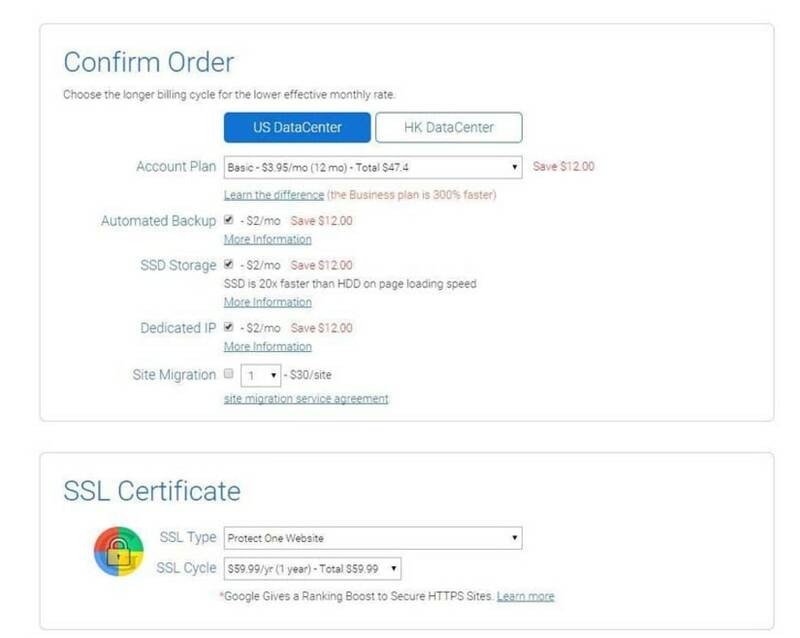 Click through to your chosen plan, noting that in the footer you can choose further their SSD or Hong Kong hosting plans. You might consider their Advance SSD plan if you want a little better performance. Having chosen your required plan, you will then be taken to the Domain configuration screen as shown. You have a couple of choices here. 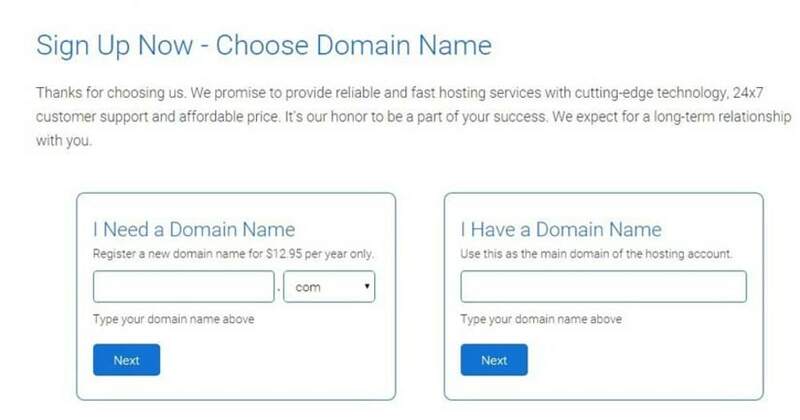 You can either purchase a new domain for a fairly reasonable $12.95 or you can point an existing domain at the hosting server. We recommend in most cases that it is better to purchase your domain independently (we recommend Namecheap for this) as it gives you great control over your domain should you ever get into a dispute with your hosting provider. In this quick tutorial, we will enter a domain that we already have. Also, at the bottom of this page, you will see notice of their 30-day money back guarantee. Any domain you purchase will not be entitled to a refund. The final page contains quite a fair amount of information. At the top, you will need to enter your personal details, and at the bottom the payment information. You can also choose any addons at this stage. Enter Billing information, confirm add-ons and complete order © The Webmaster. That being said, based on the review left by our readers, you may wish to consider a different hosting company, such as A2 Hosting or TMDHosting who have good reviews and who offer Windows Hosting. No, but you can purchase a domain from them for $12.95 per year. However, we would recommend using a specialist domain registrar such as Namecheap or GoDaddy. They use PayPal checkout so you can pay via PayPal, bank account or credit \ debit card. They use PayPal checkout, so yes. No, they do not offer monthly billing for standard windows hosting. You can pay for you hosting for 12, 24 or 36 months in advance. Your initial discount applies to the first invoice, so you can lock in greater savings by signing up for longer. Be sure to check the user reviews first though! Do they offer an unconditional money-back guarantee? Do they offer Linux Hosting? No, they only offer Windows-based web hosting.